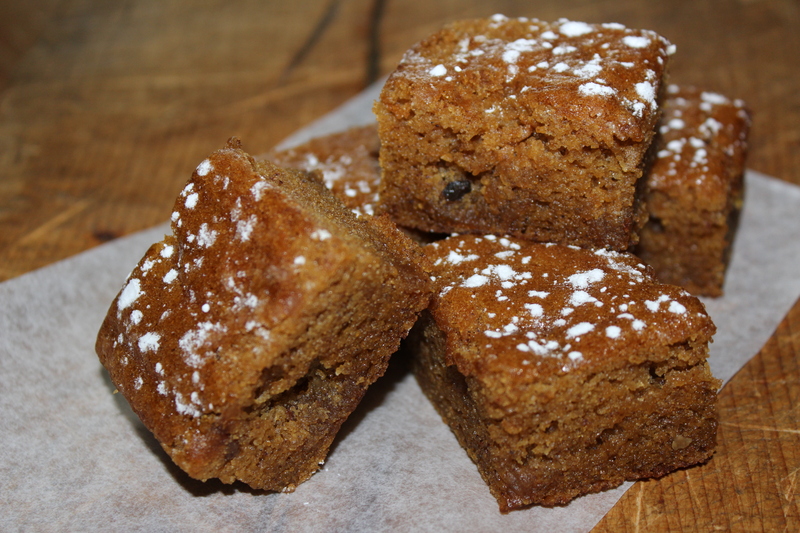 Regardless whether this recipe is gluten-free or not, I think they are the best pumpkin bars I’ve ever had. The sweet rice flour can be found in the Asian section of larger grocery stores, and the tapioca flour can be found in the gluten free section. This entry was posted in Recipes and tagged dessert, Gluten-Free, Golden Raisins, Pumpkin, sweet rice flour. Bookmark the permalink.